The Cottage gate is practical, yet charming–a great way to welcome your friends and loved ones. 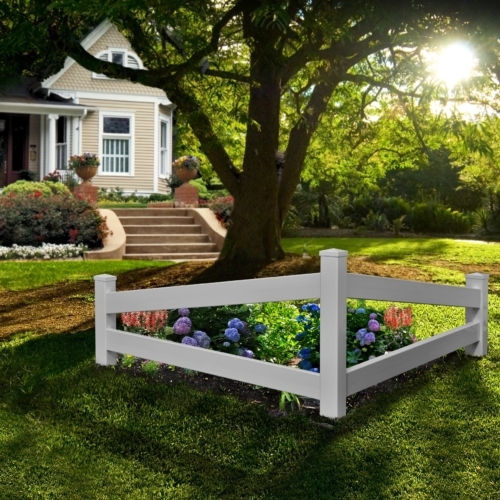 Made of premium weather-resistant vinyl, the Cottage gate is virtually maintenance free. You won’t ever have to stain or paint it. The gate comes with quality stainless steel black powder-coated hinges and latch. Best of all: we cover the vinyl with an industry-first twenty year warranty. Gate hardware is covered by a 5 year warranty against defects. The Cottage gate only requires a ratchet, tape measure and drill for assembly. Our detailed instructions give you all the information you need to mount your gate. The Cottage Gate measures 50″ (127cm) across. We love the Cottage gate, we purchased this gate to go along with the Fairfield Arbor. The fit was perfect, the quality is great and assembly instructions were clear and easy to follow.